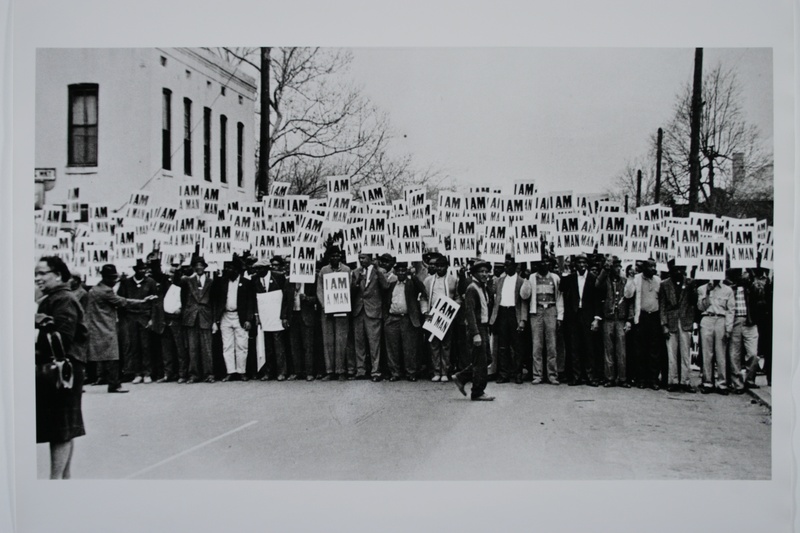 Opening January 21, The William Benton Museum of Art pays homage to the rich history of student activism with the new exhibition, Making the Movement Move: Photography, Student Activism, and Civil Rights. Following on the 50th anniversary of Martin Luther King Jr.’s “I Have A Dream” speech, the exhibition seeks not only to commemorate the work of famous activists but also to put a spotlight on the role of young people in fighting for social justice. It will feature the work of civil rights photographers Danny Lyon and Ernest Withers, both of whom have provided America with some of its most compelling images of the struggle for racial equality. Making the Movement Move will also be accompanied by several exciting events, including a film screening and panel discussion. Danny Lyon (American, b. 1942). Untitled [Eddie Brown is arrested in Albany, Georgia], 1962. 11”x14”. Gelatin silver print, printed 2010. Collection of Sheldron and Helen Seplowitz. Danny Lyon, whose photographs will be at the heart of the exhibition, became the staff photographer for the Student Nonviolent Coordinating Committee (SNCC) at the age of 20 and traveled around the South during the early 1960s to capture powerful moments in the civil rights movement. This image is an example of the events he witnessed. In line with this effort to “dramatize” peaceful black resistance, Eddie Brown, a SNCC leader and organizer, volunteered to be arrested for the photograph. 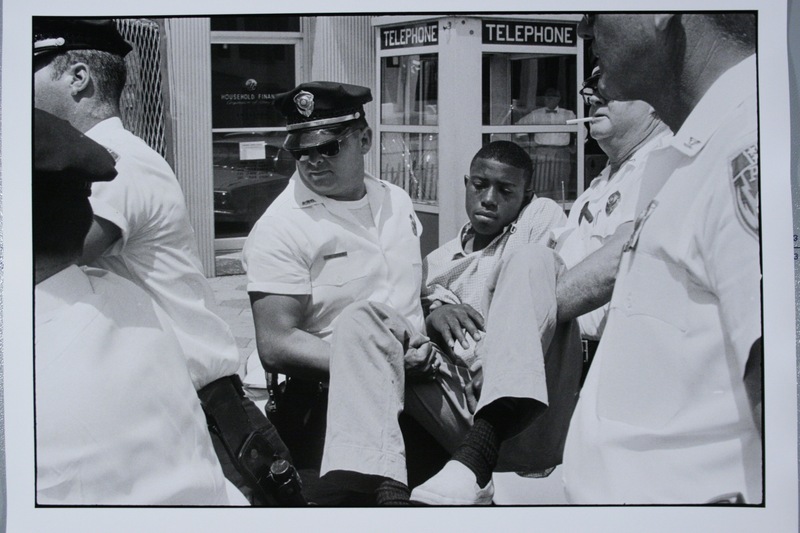 The scene of him being calmly carried away by Albany, Georgia police is considered a classic image of nonviolent demonstration, and was reproduced many times over in posters, college papers, and SNCC fundraising flyers. Ernest C. Withers (American, 1922–2007). “I Am A Man,” 1968, from the portfolio I Am a Man. Black-and-white photograph, edition 19/25. The William Benton Museum of Art, The Louise Crombie Beach Memorial Fund. In addition to Lyon’s work, the exhibition showcases images by Ernest Withers, an African-American freelance photographer during the 1950s and 1960s. This image was taken during a sanitation workers’ strike in Memphis, Tennessee in 1968. Outraged over the deaths of Echol Cole and Robert Walker, workers who had been crushed to death in the back of a garbage compressor truck, these men demanded proper working conditions and better wages. The strike took on a heavy racial dimension, attracting attention from the NAACP and Martin Luther King, Jr., and ultimately represented the broader struggle for equality in Memphis. I Am A Man, as seen on their posters, became a unifying civil rights declaration of independence and dignity. These compelling images and many more can be seen in Making the Movement Move: Photography, Student Activism, and Civil Rights on view January 21 though March 30 at The William Benton Museum of Art. The exhibition invites visitors to explore the history of civil rights through these photographs and to reflect on the power of student activism, a topic of importance to the UConn community. The capacity of young people to change society is not limited to the past but vital to today’s movements for social justice. We hope you will join us in celebrating activism past, present, and future. Making the Movement Move was organized in collaboration with students in Prof. Michael Orwicz’s Independent Study course and is made possible with generous support from Sheldron and Helen Seplowitz; the Human Rights Institute, University of Connecticut; and the Thomas J. Dodd Research Center. Elise is a senior studying International Relations and Human Rights at UConn. She has worked in the field of social justice at various NGOs in both Connecticut and in South Africa. She participated in the student group that helped organize Making the Movement Move. With a special performance by the musical ensemble, Blues Without Borders, featuring members from the UConn community. “Diary of a Student Revolution,” a documentary chronicling ten days of student protests on the UConn Storrs campus in 1968. Running time: 58 min.